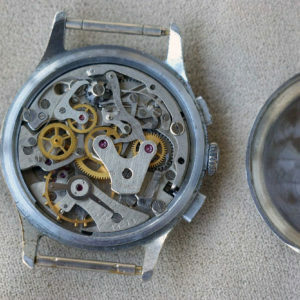 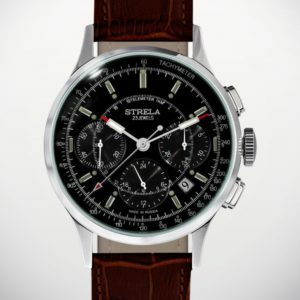 In 1959 the Strela 3017 watch was put into production. 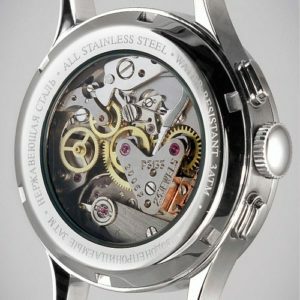 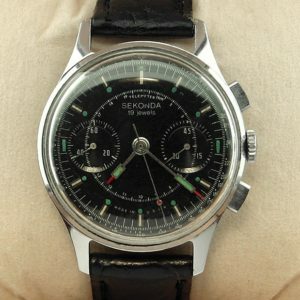 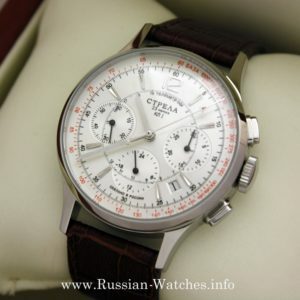 The Strela was a wrist chronograph with a stopwatch function and a 45-minute counter of minutes. 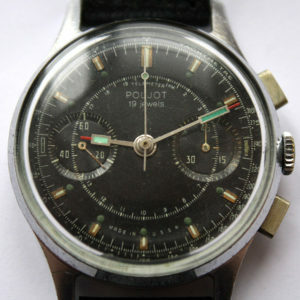 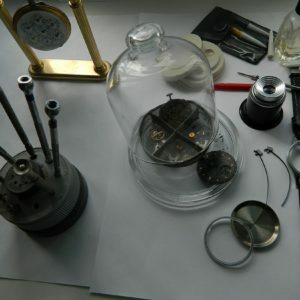 The dial had additional telemetric and tachometer scales. 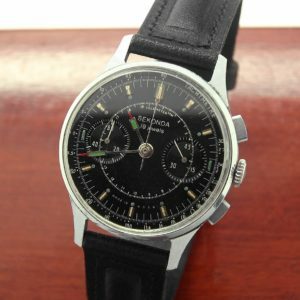 The watch was exclusively designed for the officers of the Air Force and was produced according to strict military specifications. 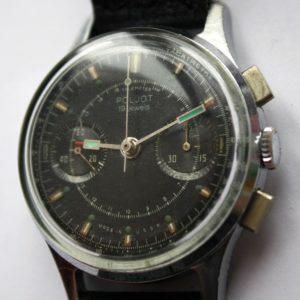 Cosmonauts Pavel Beliaev and Aleksej Leonov also used these watches when they became the first in the world to enter into the open space. 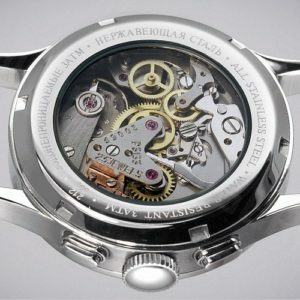 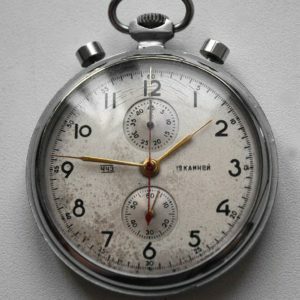 During the next 20 years 100,000 of the 3017 watches were made.